Here is the Paper Deals Roundup for 1-13 to 1-19-19. 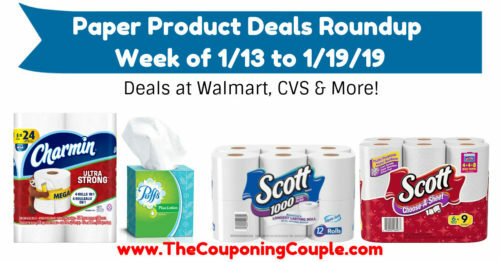 This includes the BEST Paper Product Deals from a variety of stores including CVS, Target, Dollar General, and more. If there are any other paper deals you know of and we missed feel free to leave a comment and let us know! Pay $3.75 with $1.25/1 MFR Coupon! Pay $4.50 with $1/1 coupon!